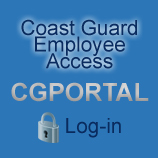 Coast Guard Report is an Unofficial Coast Guard Blog providing interactive discussions between persons with like interests. This is not an official United States Coast Guard Blog, however our postings are for public information and assist in bringing transparency and breeding self-correcting behavior where necessary. We do not endorse reader comments, including links to other sites, and we disclaim responsiblity and liability for the site and its content. This policy is consistent with ALCOAST 458/08. Not sure you heard but SCOTUS denied Webster Smith’s Writ of Certiorari, lower court ruling stands. Jul 30 2010 Brief amicus curiae of National Association of Criminal Defense Lawyers filed. Jul 30 2010 Brief amicus curiae of United States Army Defense Appellate Division filed. Oct 28 2010 Brief of respondent United States in opposition filed. Nov 29 2010 Petition DENIED. Anybody know the current status of the bill HR 4923?